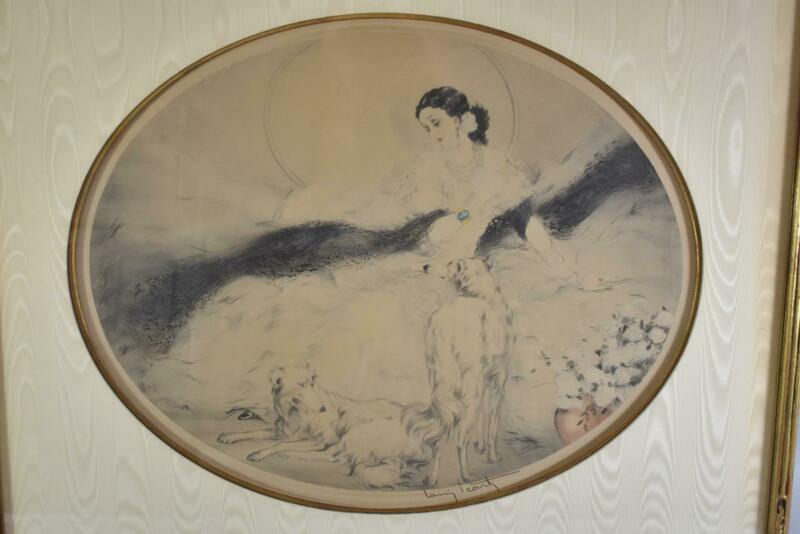 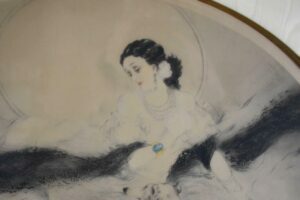 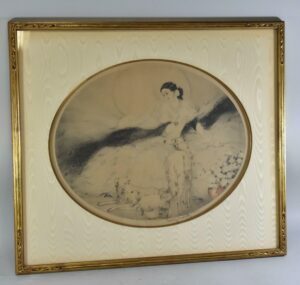 Art Deco Louis Icart hand colored drypoint etching signed in pencil. Print is titled “La Dame Aux Camelias. 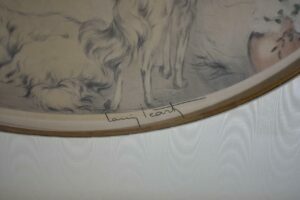 It has the windmill watermark embossed on the paper. 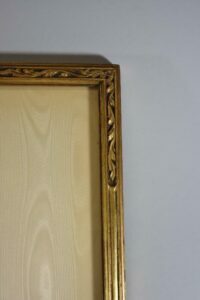 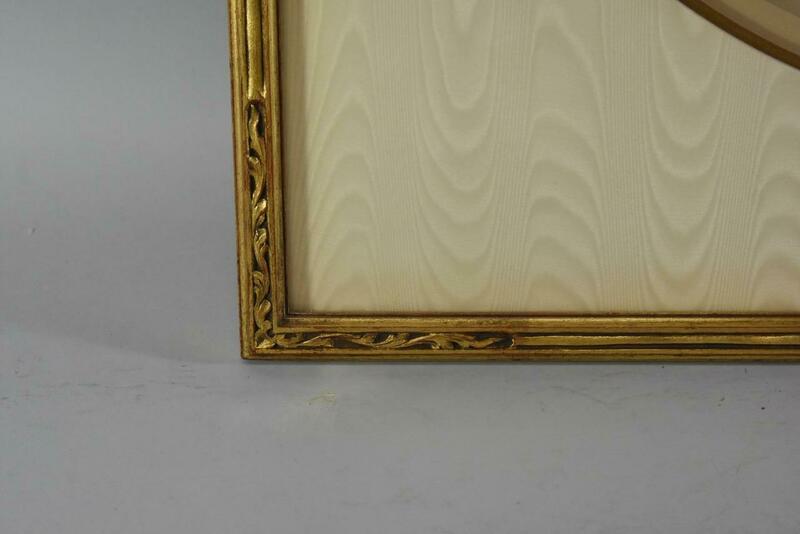 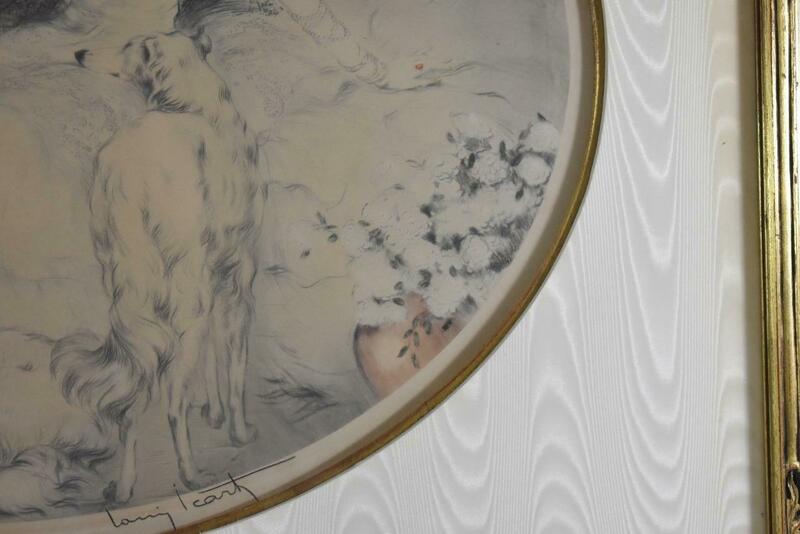 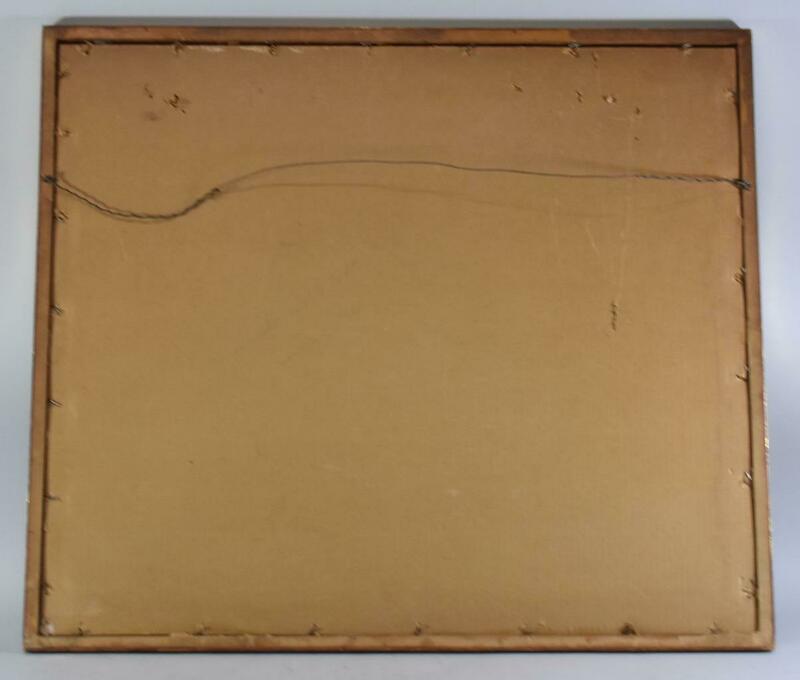 Framed in a gold frame with carved corner details. 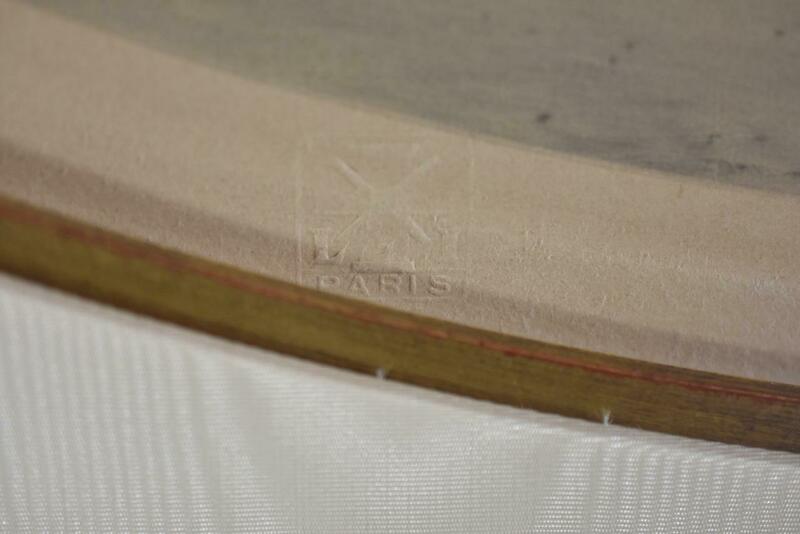 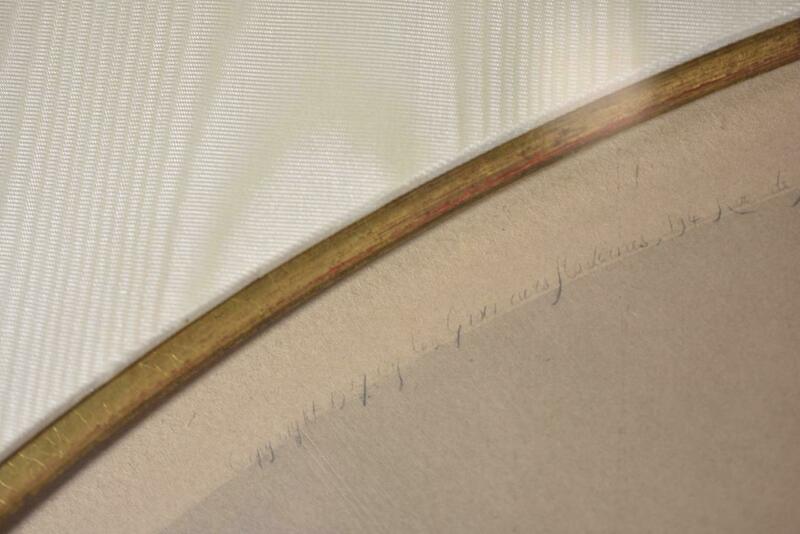 There is a cream oval moire mat and an inner gold fillet. Print is in very good condition. 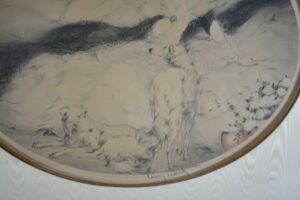 The paper has a slight age darkening. 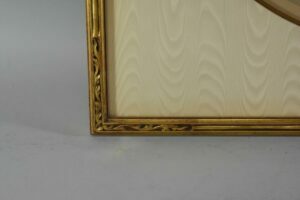 Image is 17″ x 21 1/4″. 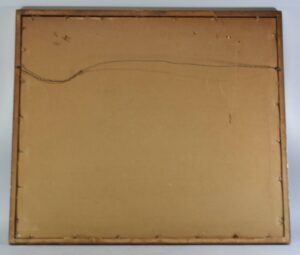 Oerall size is 25 1/4″ x 29”.